“accountability from both Foster and Superintendent Cindy Marten” – That is what an incisive Editorial by the San Diego Union-Tribune Editorial Board has called for after reviewing the San Diego County Grand Jury Report – San Diego Unified School District Trustee’s Overreach Abuse of Power Report – for Foster and Marten’s actions related to last June when “the (SCPA) principal was reassigned, two officials were removed from the school and another was disciplined”. District Deeds has been reporting since June, 2014 on this improper intervention by Marne Foster and her accomplice, Cindy Marten – and this Union Tribune Editorial helps ALL SDUSD Stakeholders connect the dots. “It’s easy to see why a parent would seek recourse if she felt her son was being treated unfairly. But when that parent is a school board member, a judicious and professional response is mandatory. This is NOT the first time that Foster and Marten conspired to eliminate a highly productive, highly credentialed Principal without support from the full San Diego Unified Board of Education. District Deeds posted the comparison here: Lincoln and SCPA…The “Smoking Gun”? And here: Lincoln and SCPA – “The Smoking Gun”?…Continued On San Diego Channel 10! There was just not a Grand Jury Investigation…or a Board of Education Investigation despite indisputable proof of the similar Lincoln High School transgressions by Foster and Marten. 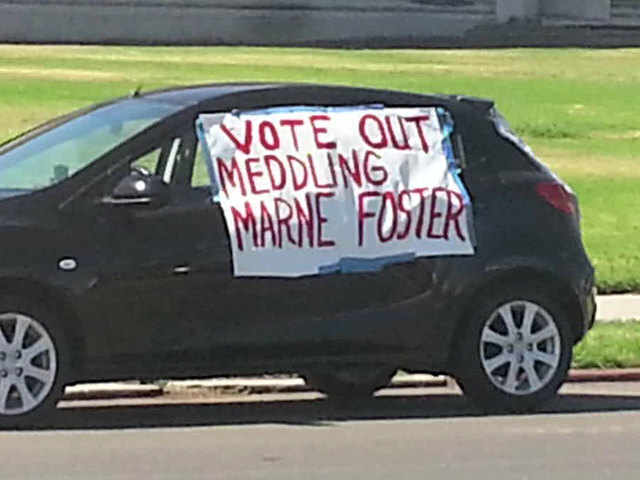 Given all the evidence provided to the San Diego Grand Jury, it is clear that Marne Foster DID NOT react with a “judicious and professional response” and should receive serious repercussions and Board Sanctions up to and including RECALL from her position. Given that Marten IS the individual who ultimately “had the power to punish a district employee” and used that power improperly and unethically, harming SDUSD employee careers and seriously damaging SDUSD School Site and Stakeholder Trust, her repercussion should be a lengthy suspension, a demotion or to be fired. District Deeds will continue to provide San Diego Unified School District Stakeholders more details of the Foster and Marten violations as they become available. Who will be qualified to implement the Grand Jury Recommendations since the issue are with those employees at the top who have been implicated as breaching ethical standards? The same people who approved Marten and are colleagues with Foster…the Board of Education…which is why the response to the Grand Jury from Marten, the Board and their huge legal department will attempt to cover up the truth for fear of lawsuits and State sanctions. I wonder when/if the SD County Office of Ed steps in or the State? The people in her district need to start a recall effort. What she did affects the integrity of the entire board. I saw her live on a morning newscast last Friday, and she said that all personnel decisions are made by the superintendent. However, she never denied the allegations. Is this who we have overseeing the education of our children? Shame on her.